KAUFFMAN FOUNDATION of Kansas City today announced it intends to plant up to $500K in Nashville's entrepreneurial ecosystem over an 18-month period, with the Nashville Entrepreneur Center serving as its primary intermediary in an effort to spur further innovation here. On-hand for the announcement at the EC this afternoon were Kauffman Senior Advisor Rachel Carlton, Metro/Nashville Mayor Megan Barry, EC Chairman John Ingram and EC CEO Stuart McWhorter. Each spoke of their pride in the new relationship between Kansas City-based Kauffman and the city. 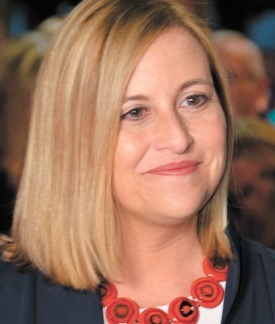 Mayor Barry and Ingram also credited the work of volunteers with the Nashville Area Chamber of Commerce, who operated as a task force, and others in the community that helped make the EC a reality, six years ago. In a release, McWhorter expressed confidence the forthcoming grant will further efforts to achieve recognition for Nashville as "the best place in America for entrepreneurs." 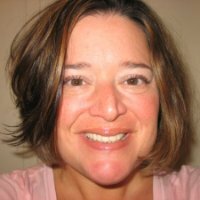 The EC is in late-stage discussions with Kauffman regarding an initial grant that is likely to total in "six figures," Carlton told Venture Nashville. A series of grants will be executed with the EC and other yet-to-be-named organizations in the community. No other likely recipients were named today. 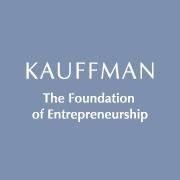 An EC press release noted that under such grants, Kauffman has previously done things like supporting funding a startup accelerator for water energy technology companies, helping to create a fund to support entrepreneurial nonprofits, and providing other technical assistance. Though the grant agreement is not yet final, the announcement today accommodated schedules and coincides with Global Entrepreneurship Week, a source said. Carlton said Nashville was chosen, not because of any need for remediation, but because the city's ecosystem represents a great test-bed, displaying as it does strong, long-running community collaboration; several well-defined verticals (Healthcare, Music and others); and, a size that is big-enough to test scale effects, while small enough to allow rigorous monitoring of results. Research for a VNC story last summer and further research today made clear that Kauffman's diligence in Nashville has included stops at Vanderbilt University, including the School of Engineering, as well as visits with representatives of Metro Government, Belmont University, Lipscomb University, Middle Tennessee State University, Project Music (EC/CMA), Nashville Technology Council. Kauffman devoted particular attention to contacts in Nashville's software-development community, said a source close to the process. VU School of Engineering Dean Philippe Fauchet, Ph.D., was among those in attendance during yesterday's gathering. The VUSE was cited by Carlton as an important ally and the school plans to be supportive of the initiative, as reported on its website. Kauffman's Carlton explained that commitments of similar magnitude have also been made in Albuquerque, N.M., and in Burlington, Vt. This story last edited 6:45 a.m. 18 November 2015.-Ed. Ideas: Is TechAlpharetta entrepreneur center a model for Mid-TN cities?